¿Me pones un cafe? (Can I have a coffee?) is the most common question asked in the mornings all around Spain. The famous meme "but first, coffee" is a favorite in Spain too. However, I don't think I've seen a country with more types of coffee than Spain. I'm still amazed at how a waiter can remember seven different types in a 10-people table without writing the order down. I must confess that I had to do some research to write this post since I do not drink coffee, it makes me jittery and anxious, but I LOVE the smell. So I either drink decaff or hot milk with a few drops of coffee. 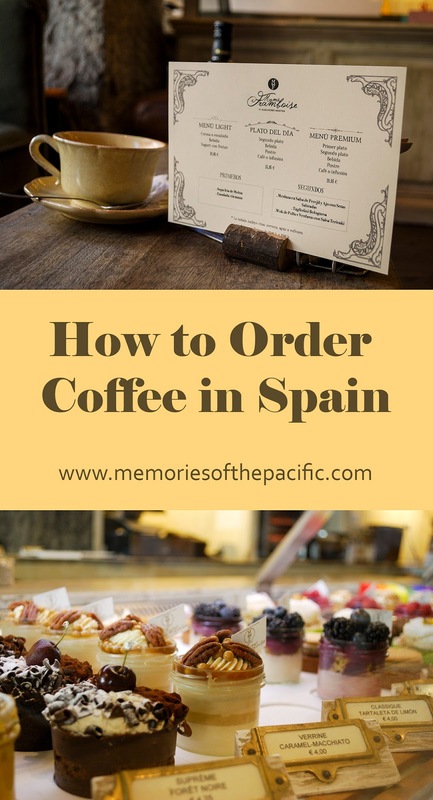 Anyways, as I'm still a fan of this hot beverage -and fall requires a lot of that- I've put together the ultimate guide to ordering coffee in Spain. So forget about Starbucks' menu and learn to order coffee like a local. Fancy a coffee? Let's start with some interesting facts. Espresso is the most popular way to prepare coffee in Spain. So basically, the type of coffee depends on how much milk you want to add. As for the sugar, your cup will be accompanied by a little packet so you can add it if you want. Coffee to go is not as common in Spain as in other countries. Spaniards drink their coffee at the cafe/restaurant so you may have a hard time finding a cup to go unless you go to a Starbucks or similar. 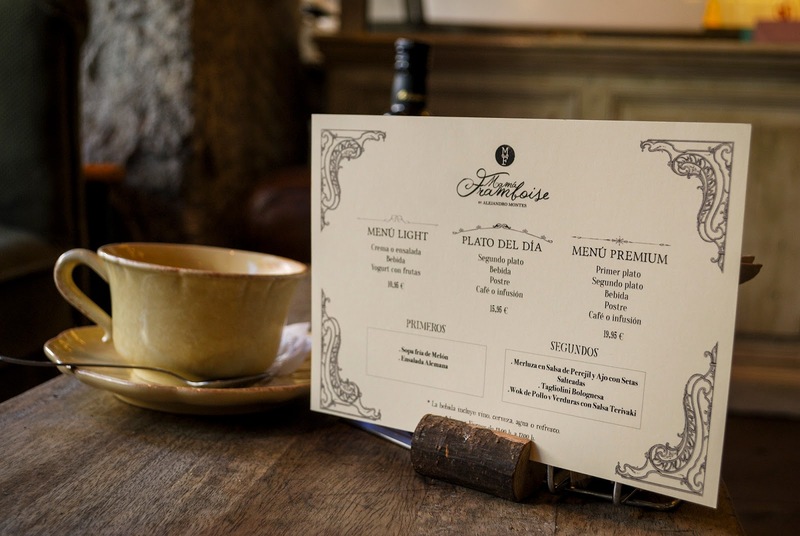 Apart from morning coffee, Spaniards love their coffee after lunch. Lunch here is the biggest meal of the day and if you are eating out it usually consists of a starter, main dish, dessert and finally coffee or infusion. So how do you order coffee in Spain? These are the most popular types. Café con leche: this is the closest equivalent to a latte you'll find in Spain. Literally it means "coffee with milk". Café americano: plain coffee, no sugar or milk in it. Leche manchada: literally it means "stained milk" and it's hot milk with just a few drops of coffee. Café descafeinado: decaffeinated coffee. This is much more common in Spain than abroad. If you order it you will be asked if you want it de sobre (coming in a little packet of instant decaff) or de maquina (machine made). Café solo: shot of espresso. It's Spain's favorite after a copious lunch. Cortado: strong espresso shot, topped with frothy hot milk. Café bombón: espresso with condensed milk. Perfect for those with a sweet tooth (like yours truly). Café con hielo: this summer favorite consists of espresso and ice served in separate glasses. Pour the hot coffee into the glass with the ice and stir. If you want it with milk, ask for a café con leche, con hielo. Carajillo: this coffee with a twist is more common in winter as it comes with a shot of liquor, usually brandy, rum or whisky. I took these pics at Mama Framboise, one of Madrid's best bakeries. 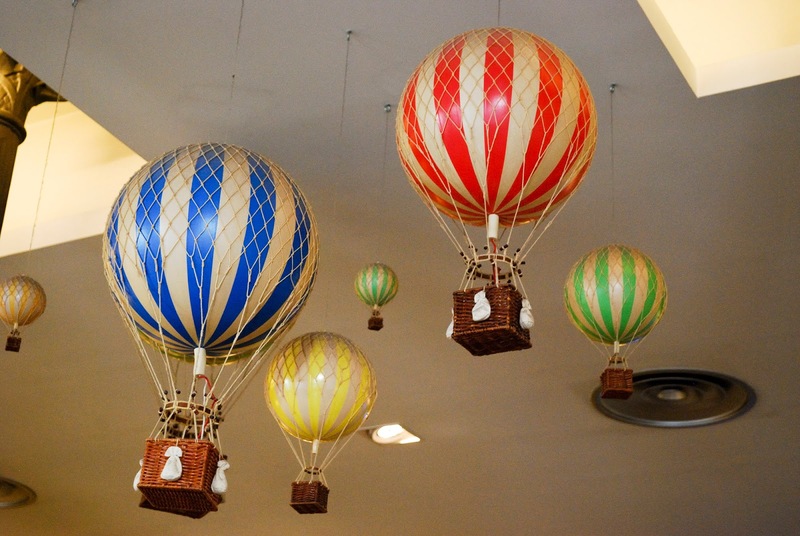 I love the vintage decor and the scrumptious treats your can find here. This is their main coffee shop but you can also find a few more around the city like a little one in San Anton food market. I also recommend Cafe Mur if you are looking for healthy dishes and homemade cakes to pair with your coffee or La Duquesita (which is in the same street as Mama Framboise) if you want to see a charming coffee shop from 1914. So tell me. How do you like your coffee? Oh how cute!! I would love to go to Spain...hopefully we are heading there next year! Thanks for the tips and recommendations! thanks for the useful info on coffee! all fund facts. I will have to remember this. Spain is next on the list for my hubby and I. I am learning Spanish from an app on my phone. We just got back from Italy, and the coffee was amazing! It's so funny how all over the world with so many different cultures that coffee is still a universal must for the mornings (almost!). I really do like how in Spain and other European countries that coffee isn't really for to-go, but for staying and sipping enjoying. I wish I had more time for that in life! Never had coffee in Spain. Great tips! Thanks for these tips! Hope to visit Spain one day and will definitely need my caffeine fix to keep me at top travel level! Europeans are very particular about their coffee! I love coffee and I like trying new types. I am exactly the same as you, I can't drink coffee, but I LOVE the smell. And I will choose Tiramisu over any other dessert every day of the week. I didn't get coffee when we were in Spain, but we did get sneaky take away breakfasts and tea that was delicious! I'm totally with you about feeling anxious and jittery after drinking coffee! I didn't drink it for the longest time for that reason. I have recently switched to decaf and can mostly handle that, but sometimes I still feel a bit strange after drinking it. My go-to drink is a decaf vanilla latte, preferably with oat milk! I'm a sucker for super sweet drinks and could never drink coffee plain. Café bombón sounds amazing and would definitely give that a try! Now that I think of it I didn't really drink coffee in Spain when I visited over 8 years ago. It's good to know they have such an array for next time! Wow! It certainly is complicated! Personally, I don't enjoy frothy or strong coffee, but I have to admire all the possibilities! This is such a charming place! It's complicated, but it's actually part of the fun and experience. Thanks for sharing these lovely photos dear. Yay, that's great! If you have any questions/need recommendations about Spain let me know.